One of our favorite treat-yourself moments is investing in a fresh ear piercing (or two) along with some gorgeous new jewelry. Consider it a specialized form of retail therapy. Once you’ve accumulated more than one or two holes, however, things can get a little chaotic in terms of styling and general aesthetics. 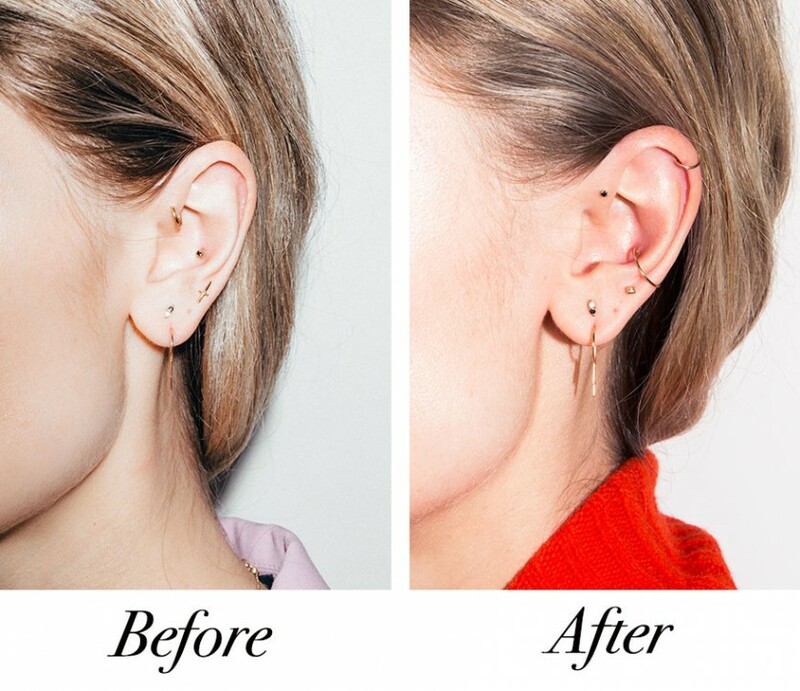 I know that for my left ear, where the majority of my piercings are, the selection of earrings had grown haphazard and unbalanced, and our social media manager, Brooke, felt the same way about her earring situation. So we decided to consult one of the industry’s most in-demand piercers to help curate our existing earrings, as well as pierce, rearrange, and generally update our ears: Adrian Castillo of 108 BK and 108 LA studios. In case you’re not familiar, he works with famed piercer J. Colby Smith, alternating between the East and West Coasts, and is generally one of the loveliest people who will ever come at you with a needle. We stopped by the Brooklyn location to voice our concerns about the current look of our ears and undergo some crucial jewelry rearrangements. Check out our before-and-after photos below, plus Castillo’s reasoning behind our ear transformations. Why did you choose the piercing(s) for our ears? What was missing in terms of balance, styling, etc.? What jewelry did you sub out for our previous piercings, and why did you make those choices in terms of earring style and color? What advice would you give other people looking to refresh old piercings and style their ears? 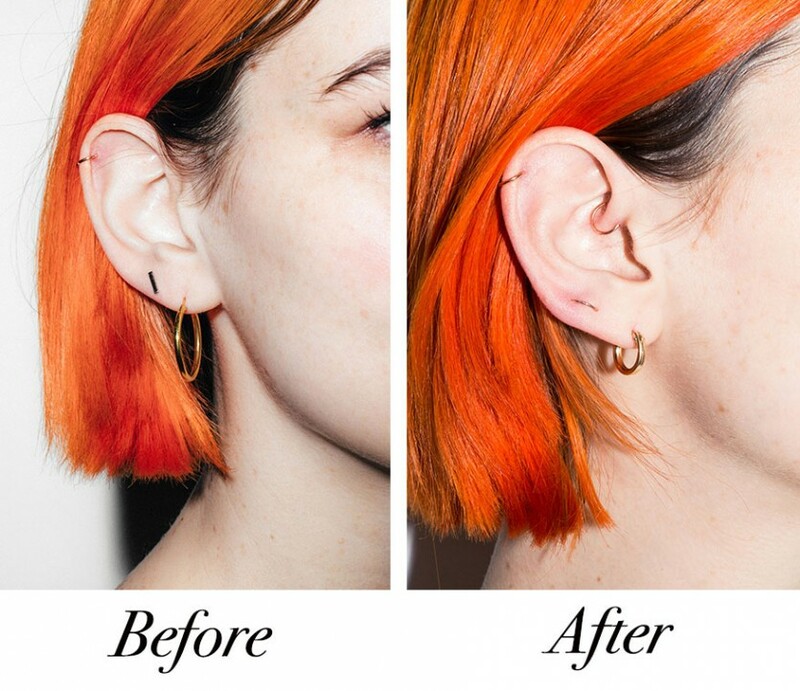 What is the biggest mistake you’ve seen in styling an ear and/or choosing a new piercing?